During the personal introduction, we discuss how many hours of maternity care you would like to receive. This is dependent on your situation. 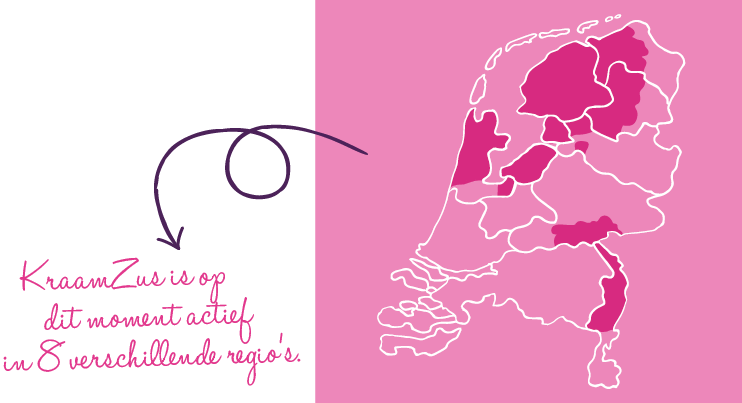 In the Netherlands, we use the Landelijk Indicatie Protocol Kraamzorg, a national protocol regulating maternity care. You always receive 49 standard hours of postnatal care, with additional hours tailored to your individual situation. For example, if you give birth at home, a number of additional hours are included for assistance during the delivery. These hours are spread over eight days. Together you discuss how these hours should be allotted in the first week following the birth. If it becomes evident during care that additional hours are required, then the maternity nurse will discuss this with the midwife. If it’s your personal preference to receive extra hours, then these may be purchased at a fixed rate set by the NZA (Dutch Healthcare Authority). Please get in touch with us about this option. We can provide postponed maternity care or post IC maternity care in the event that your child is only discharged from hospital or released from intensive care once the ten-day maternity care period has elapsed. We recommend that you contact your healthcare insurer to determine whether you are entitled to this type of care.